I'm obsessed with these pink Adidas sneakers (from DSW) and they match the pink stars in my sweatshirt, also from Gap Factory (similar). 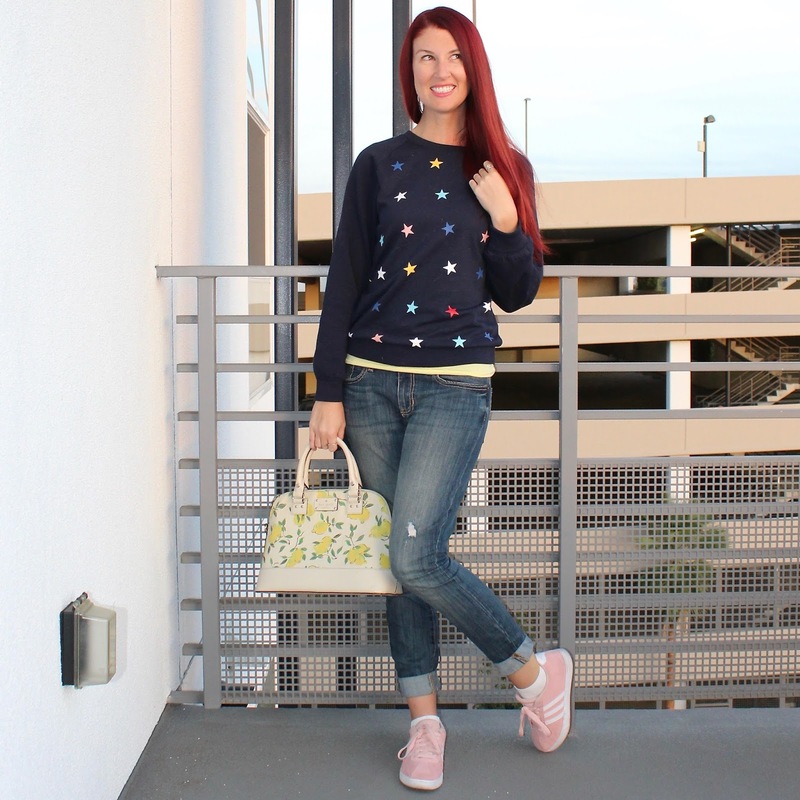 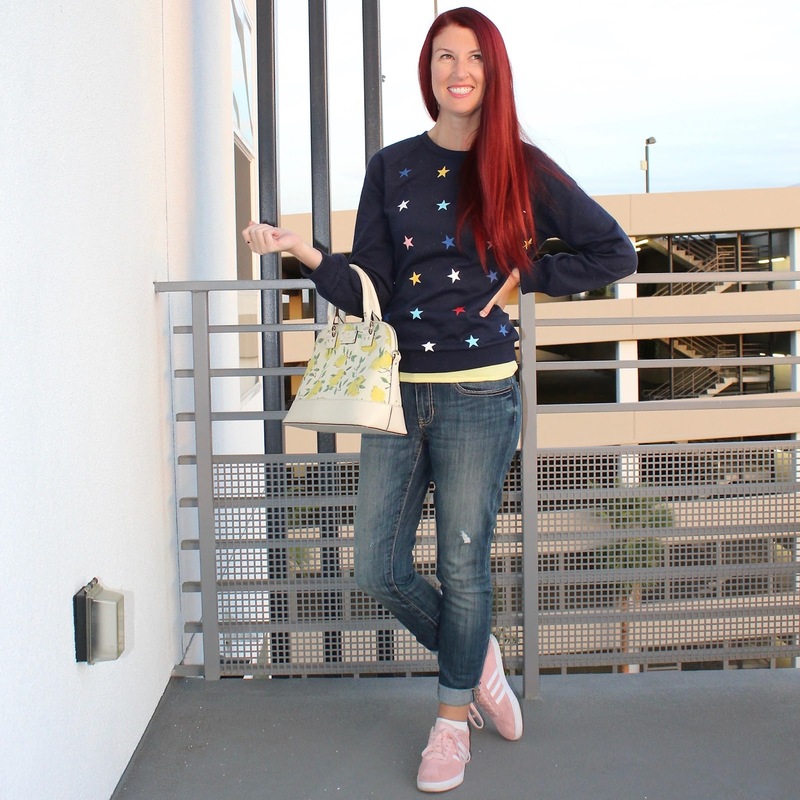 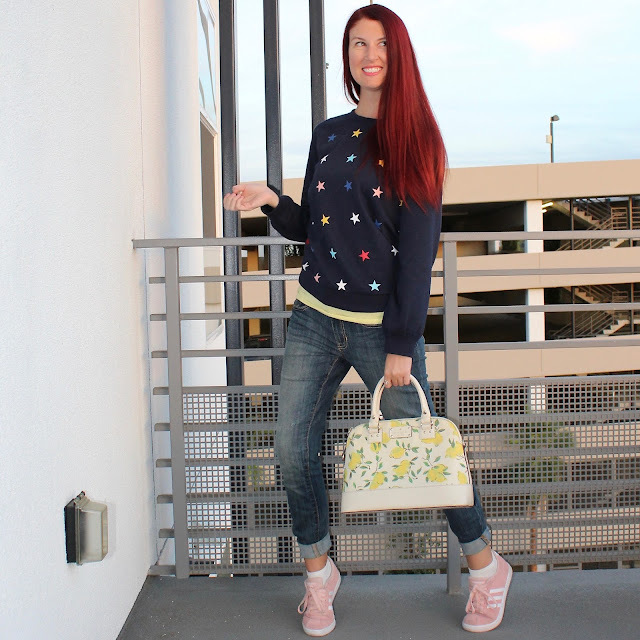 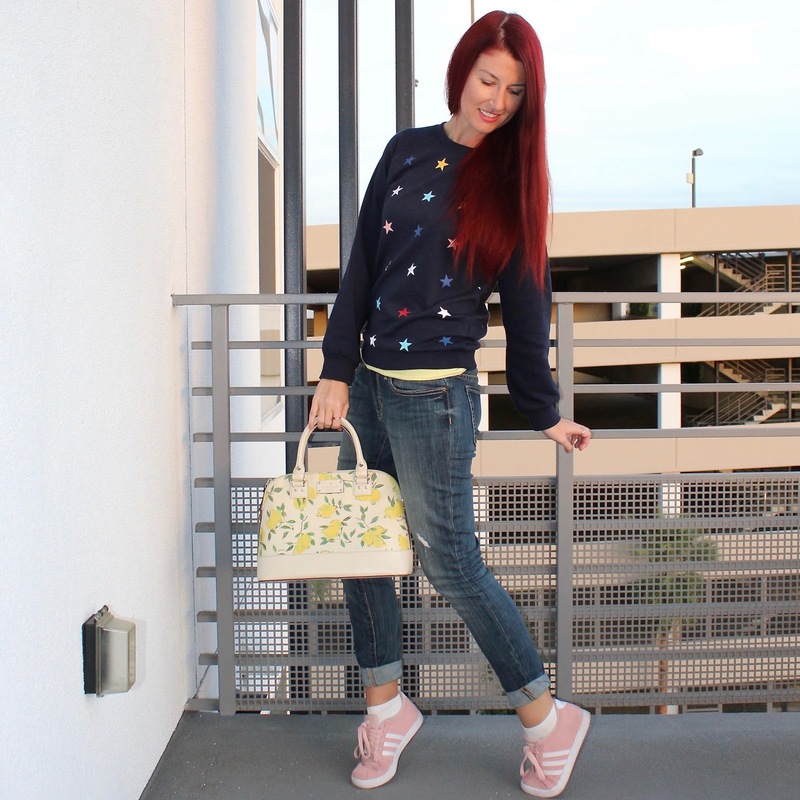 My Kate Spade lemon handbag adds a bit of pop to the outfit and technically makes this outfit of the mixing prints variety (I never resist, can I??). 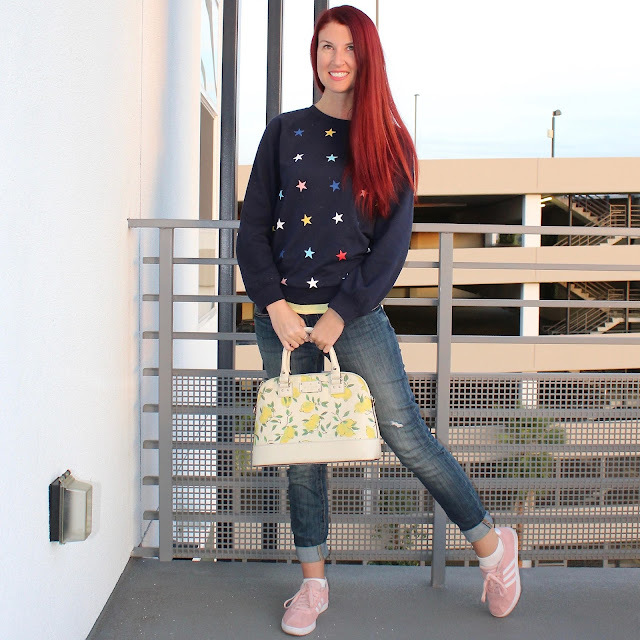 It may seem excessive to wear a sweatshirt in Los Angeles but lately it hasn't been as hot. Plus the air conditioned is being blasted in most buildings, so layering is important!